The influence and pervasiveness of gender stereotyping on the law has recently been analysed by Rebecca J. Cook and Simone Cusack in Gender Stereotyping: Transnational Legal Perspectives.  This Article extends the analytical framework developed by Cook and Cusack to examine the impact of gender stereotyping on international humanitarian law. This Article addresses the question, how has gender stereotyping influenced both the protections, and limitations to protections, for women in international humanitarian law? 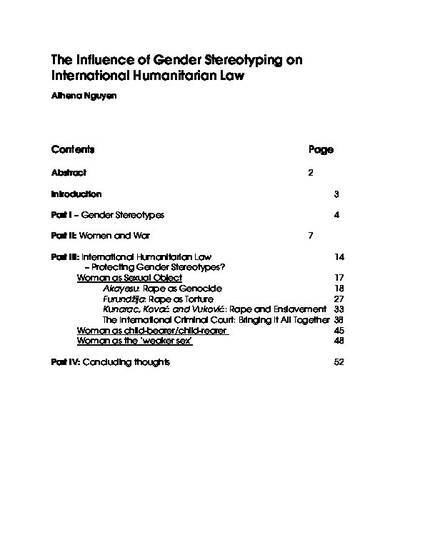 This Article will argue that three gender stereotypes have shaped the development of international humanitarian law through an examination of the Geneva Conventions, Additional Protocols, case law emerging from the ad hoc Tribunals for the Former Yugoslavia and Rwanda, and the Rome Statute.